Peaceful-seeming hippos are often described as the most dangerous animals in Africa, but here’s one that we’d love to bring home. 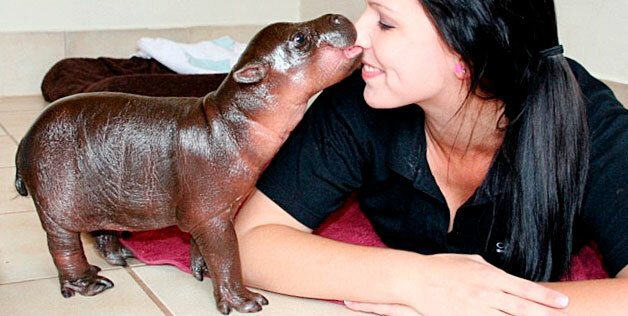 This baby pygmy hippo, born on a wildlife ranch in South Africa, is only a few days old — and he’s been named for Prince Harry, who has done lots of aid work in southern Africa. 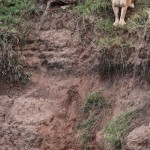 After Harry’s parents rejected him, he was adopted by handlers at the ranch and lives “like a monarch in a special suite at the sanctuary,” according to the Daily Mail. 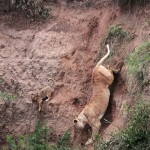 Cliffhanger: Can a mama lion save her cub? 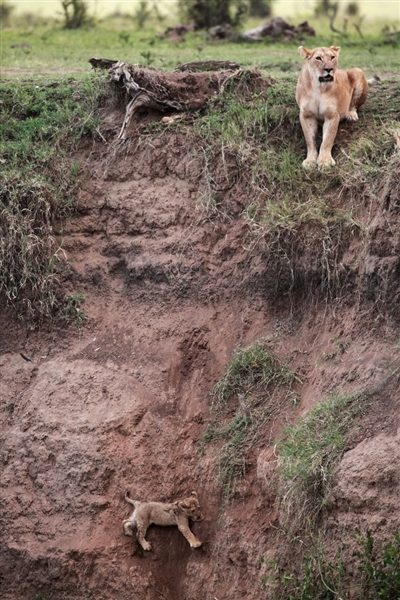 A lioness looks around helplessly after her cub fell down a ravine and couldn’t make it back up the cliff. 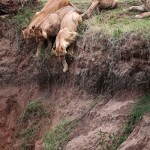 Other members of the pride attempt to rescue the cub but stop trying when they realize it is too steep. 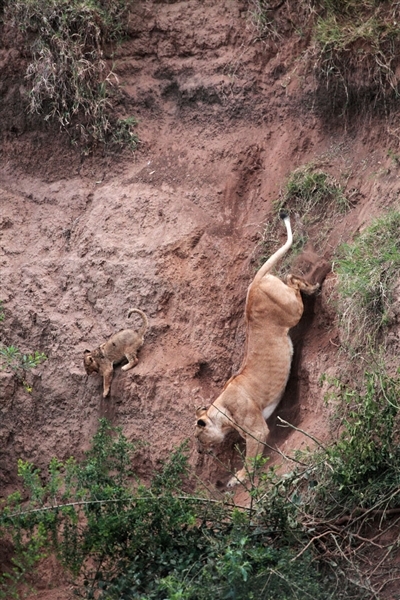 Only the mother lion is willing to take the risk. 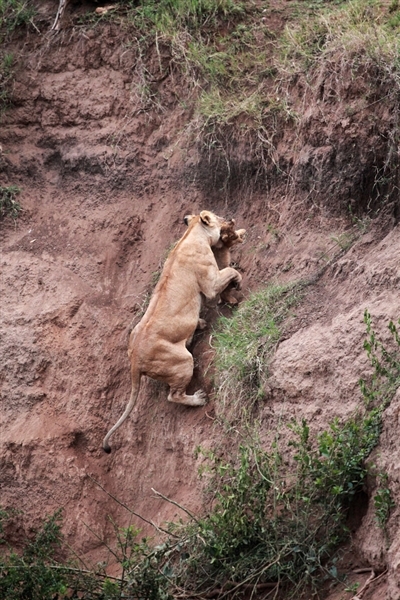 Just as the exhausted cub seems about to fall, his mother circles beneath him and he is snatched up in her jaws. 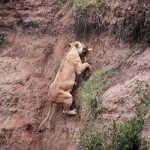 She then begins the difficult journey back to the top. 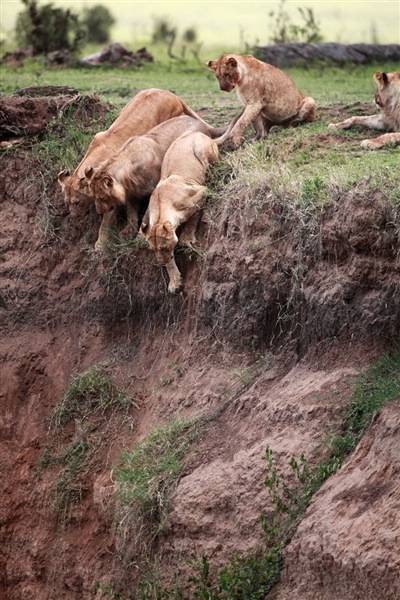 These dramatic frames were taken by wildlife photographer Jean-Francois Largot at Kenya’s Masai Mara game reserve in August.